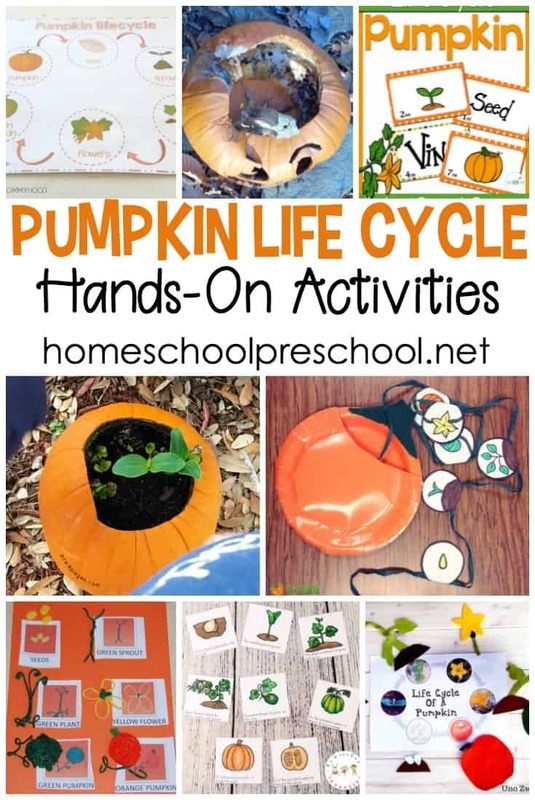 Bring pumpkins into your homeschool preschool lessons with these pumpkin theme activities! 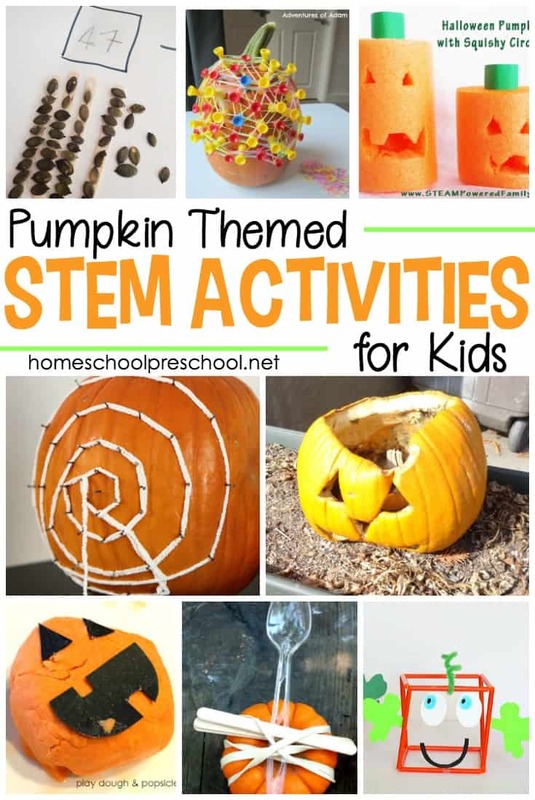 Kids will love these hands-on pumpkin STEM activities for kids. We’ve been busy getting ready for fall at my house. We’ve dug the scarecrows out of the basement, planted some new fall mums, and decorated the front porch with pumpkins. 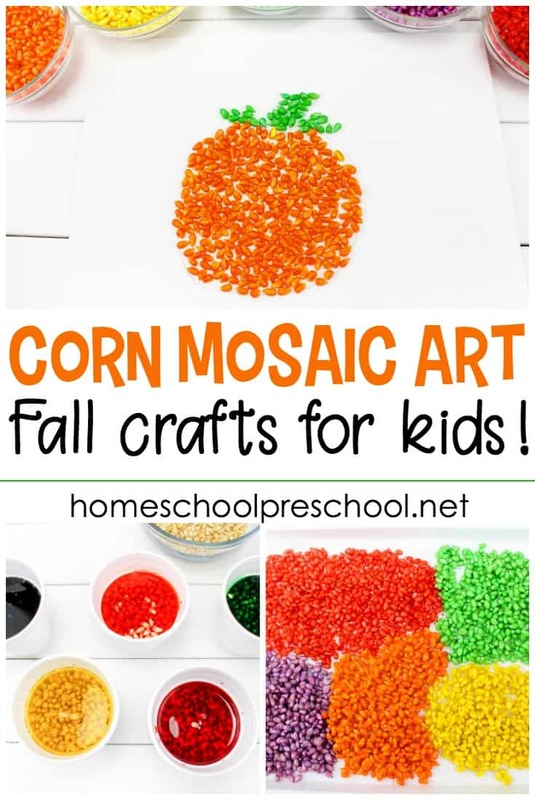 Speaking of pumpkins, now is the perfect time of year to integrate pumpkins into your fall preschool themes. 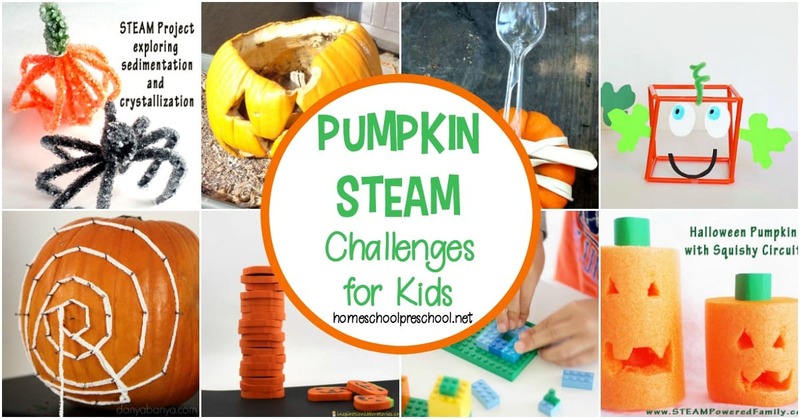 Enhance your pumpkin lessons with these resources. 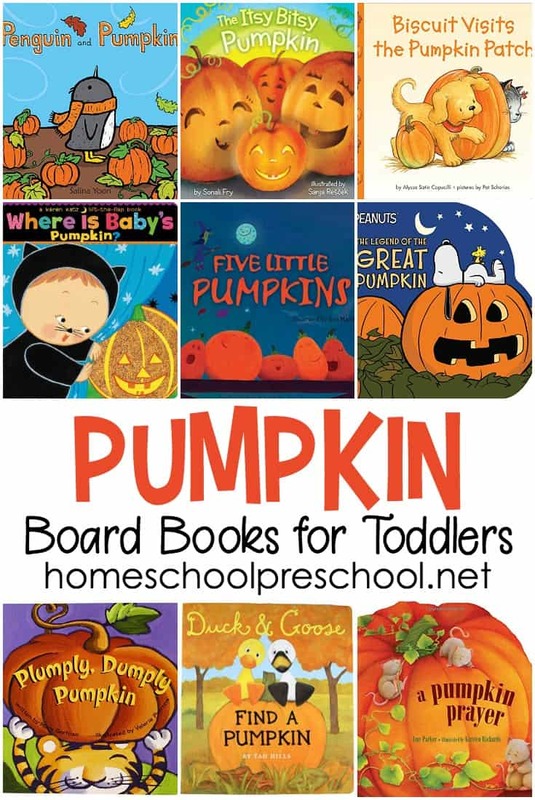 These books and resources will make your pumpkin lessons even more fun. Most of these items can be found at your local library or department store. If you have a hard time finding them, you can order them through my Amazon affiliate links by clicking the images below.